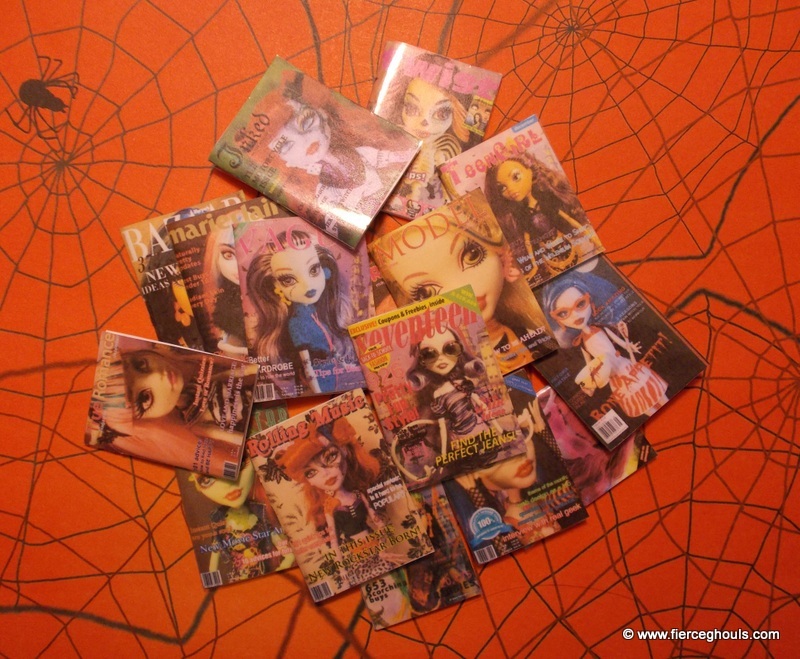 Supplies needed; Fierce Ghouls magazine printables, card stock, shipping tape, scissors, glue stick and white craft foam. 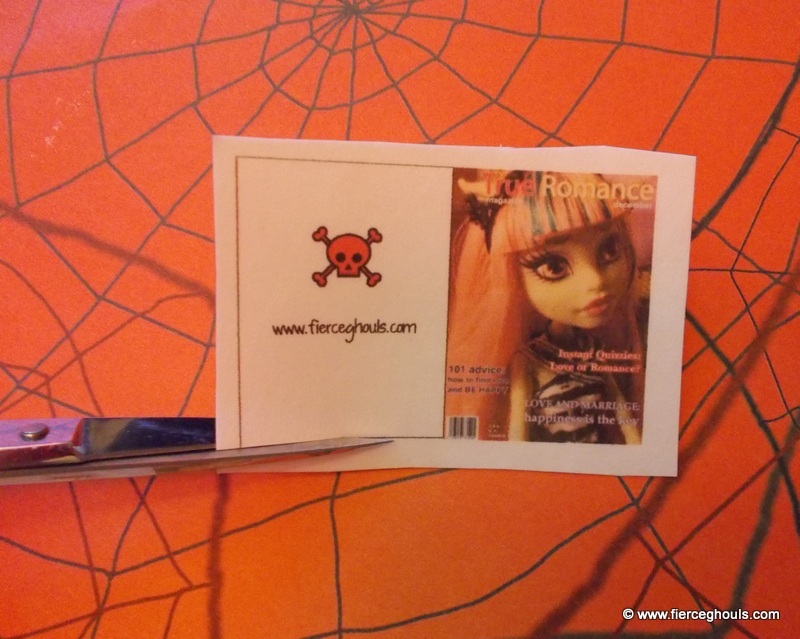 Adult Supervision Recommended For Tutorials On Fierce Ghouls' Web Site. 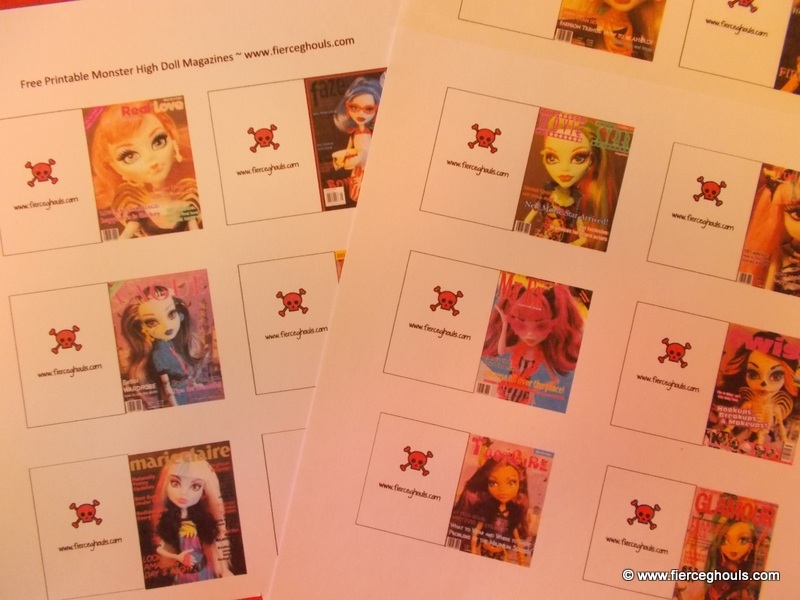 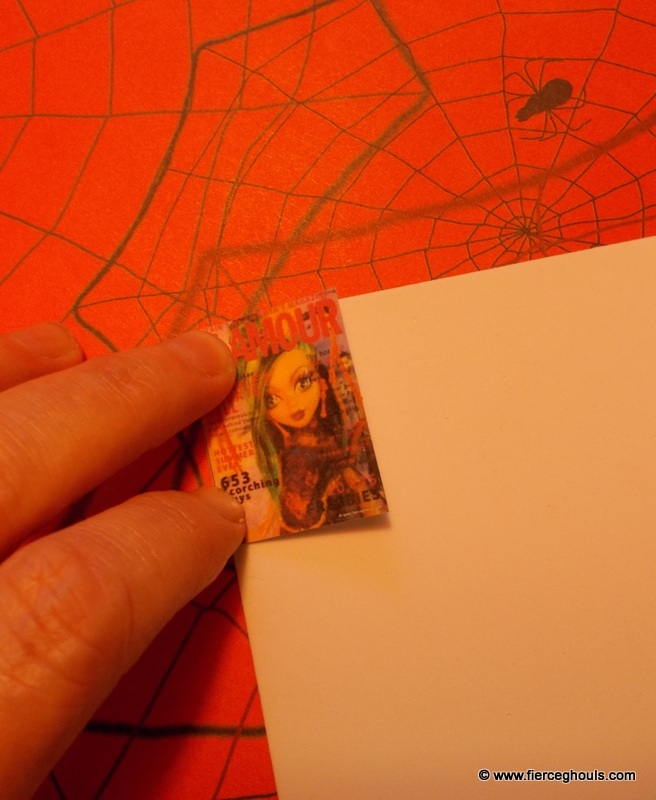 Print magazine covers onto card stock. 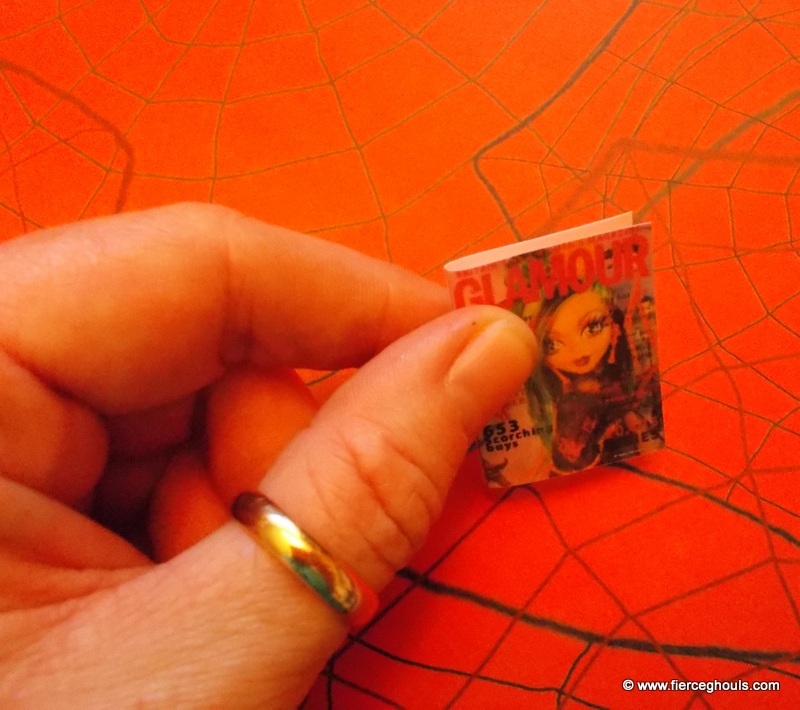 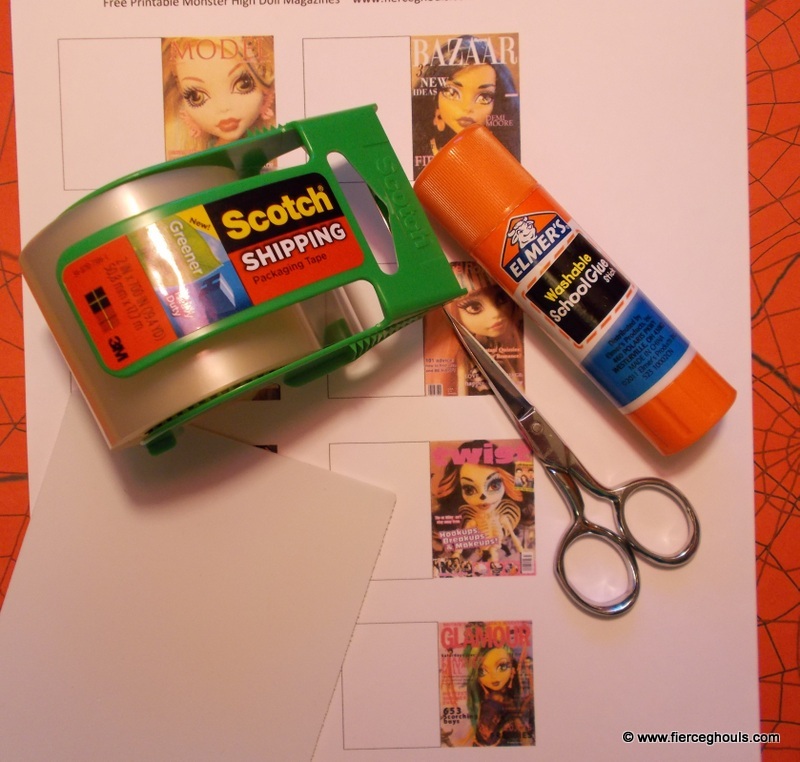 Cover each "magazine" with shipping tape and then cut out. 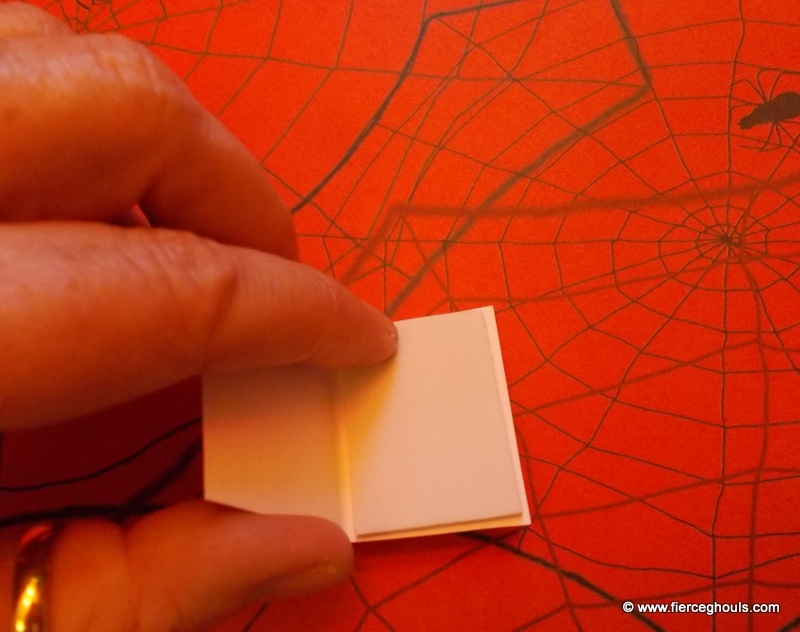 Fold your cover in half and use it as a guide to cut out your craft foam. 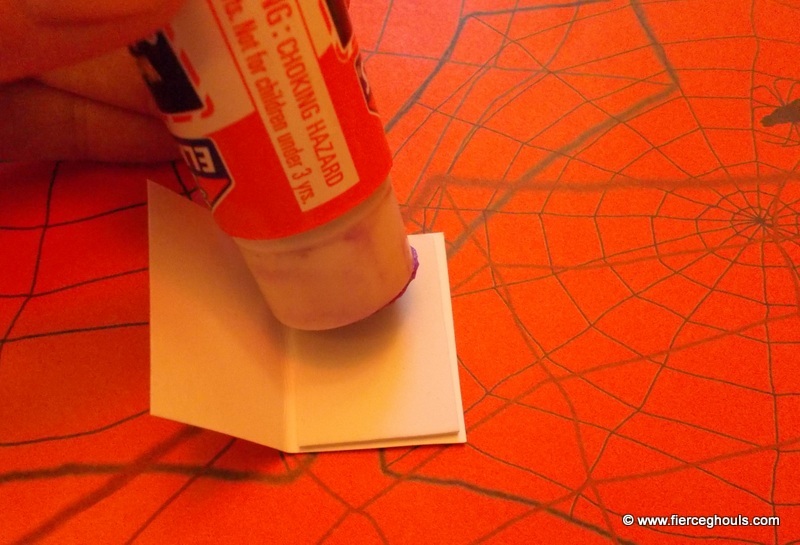 Cut the foam a little smaller than your magazine cover. 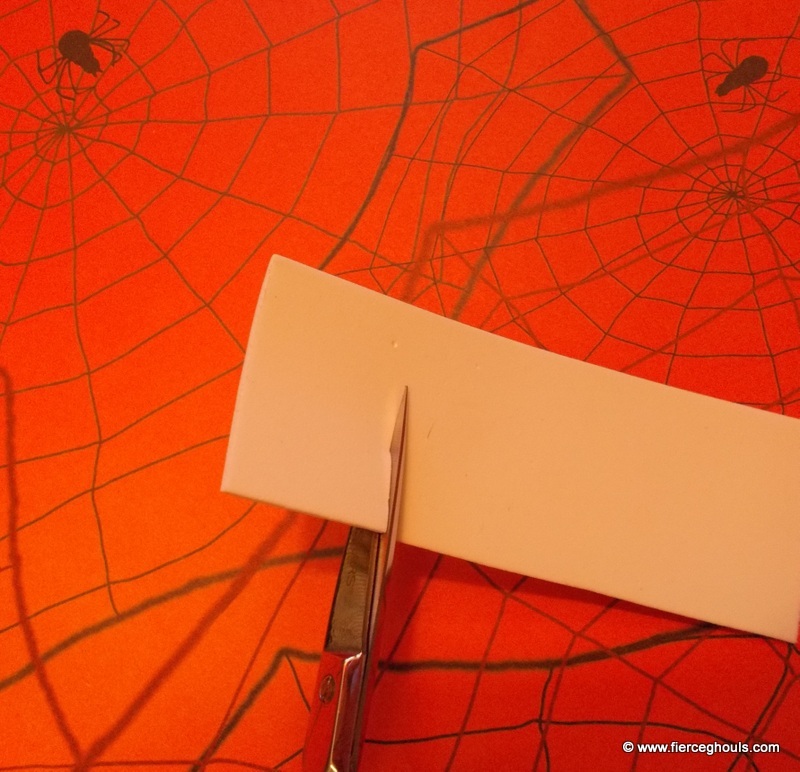 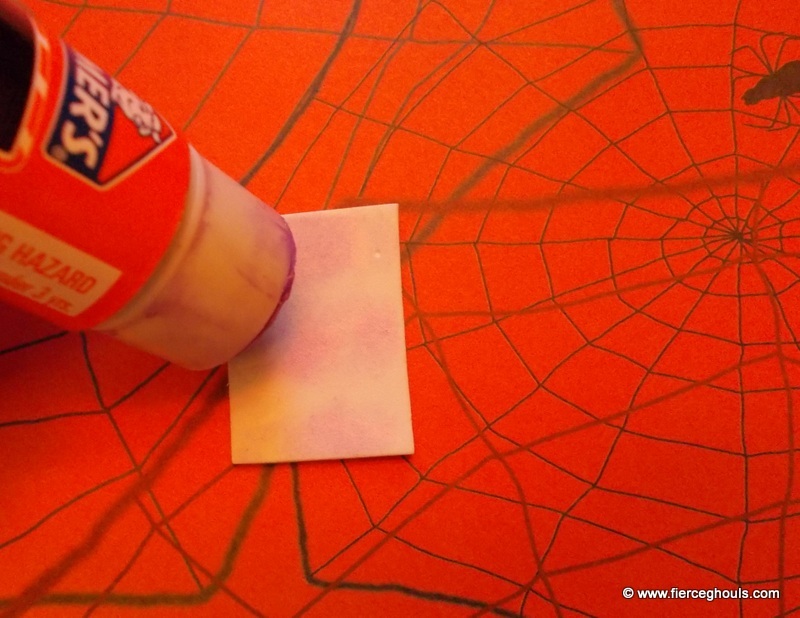 Add glue to one side of your craft foam and then place carefully in your magazine, add glue to the top part of your foam and then press the cover down and smooth out.